Can globalization overcome poverty or is there a danger that it will make it worse? 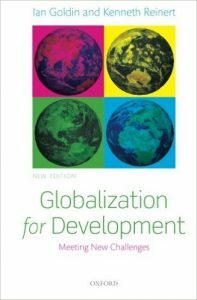 Globalization and its relation to poverty reduction and development are not well understood.Globalization for Development by Ian Goldin and Kenneth Reinert explores this relationship. The book defines the big historical trends, identifies the main globalization processes – trade, finance, aid, migration, and ideas – and examines how each can contribute to economic development. By considering what helps and what does not, the book presents policy recommendations to make globalization more effective as a vehicle for shared growth and poverty reduction.Globalization for Development combines the authors’ real world policy experience with the latest academic research.